Sometimes a static photo isn’t enough, and you need to spice it up. There are several apps out there for adding effects to photos, but few are as effective as Plotaverse. 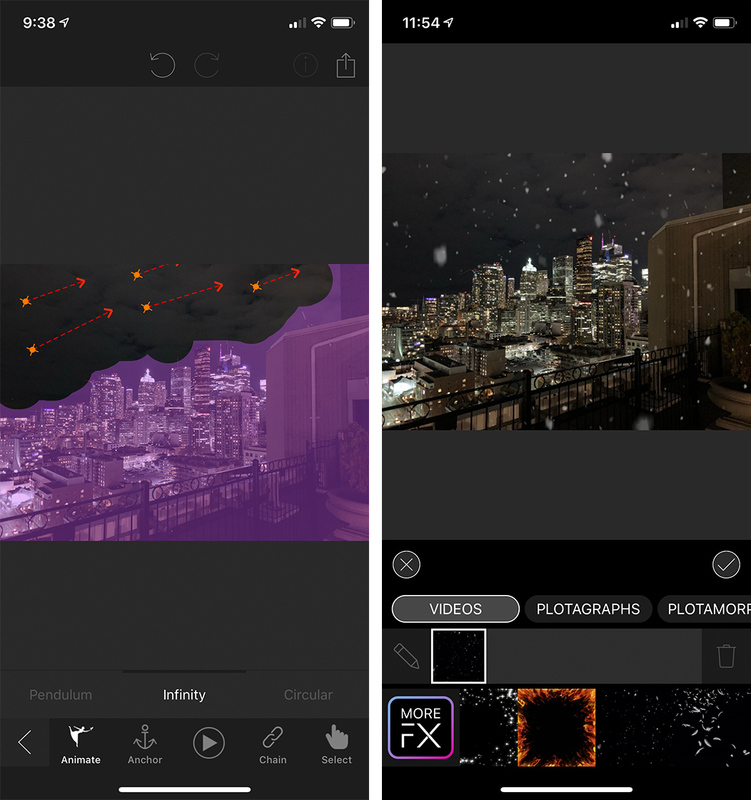 The motion art app makes it easy to turn your boring pictures into exciting new creations. 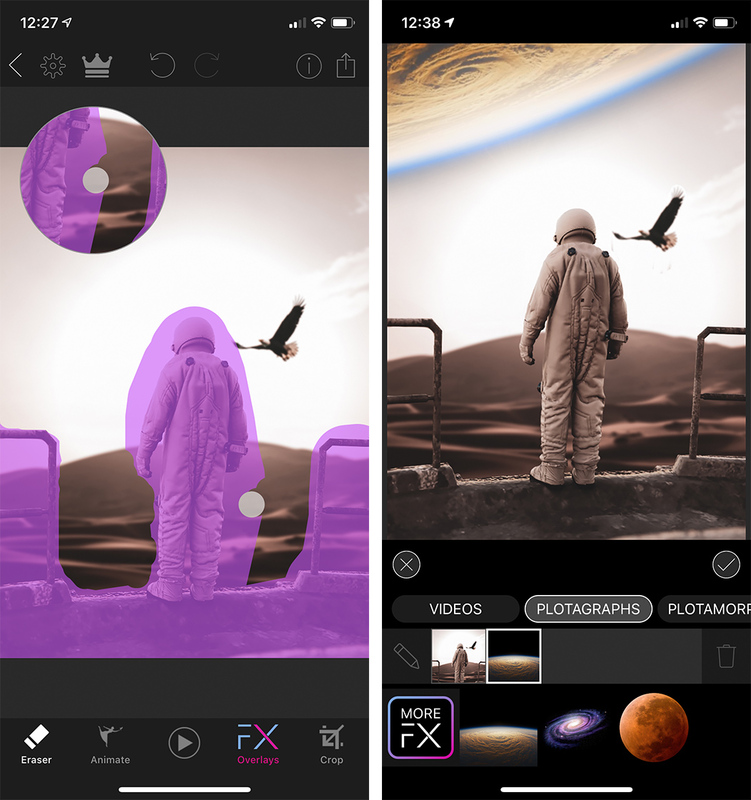 Plotaverse is chock full of impressive features, like masking, which lets users quickly designate areas of an image that won’t be affected, making it easy to make edits to other regions. In a quick test I did, I masked a group of buildings from a picture I took. Then I applied a directional animation to the cloudy sky in the background. When I hit play, the clouds came to life, roiling above the skyline. Plotaverse also offers plenty of powerful overlay effects. One I tested added a layer of snowflakes to the city. The result was a unique, animated photo of snow falling over a city at night. However, that barely scratches the surface of what you can do with Plotaverse. There are over 650 animated overlays users can add to photos, including people, planets, moons, weather and many more. The app offers plenty of its own custom photos to play with as well. It often has challenges to make motion art, which you can then share with the community. Plotaverse also lets you export photos to share to social media and friends. Exports can take the form of looping videos, GIFs or stickers. On top of this, the app offers a social experience. Users can sign up for accounts, share their creations or browse through a feed of motion art from people they follow. One downside to this part of the app is it can often be challenging to navigate. The Plotaverse team continues to expand the app with new effects and feature. Most recently, the team added several holiday-themed overlays and effects. The app is available for free on Android and iOS. 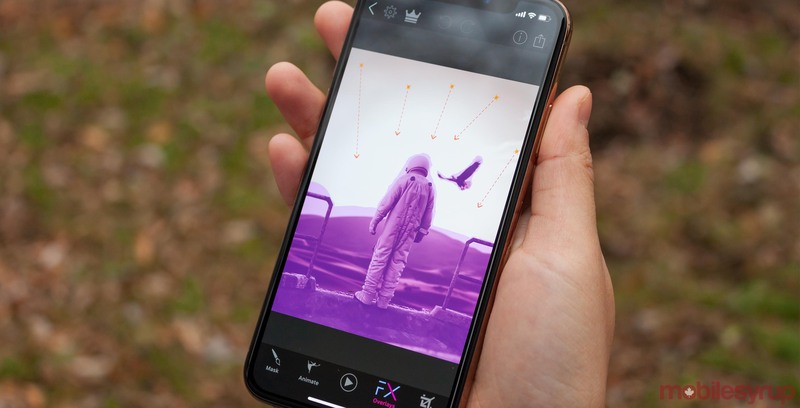 Further, users can subscribe to the service to unlock more features, including the ability to export photos without a watermark, access to the crop tool and up to 25 free overlays per month. Subscriptions range from $6.49 CAD per month, $24.99 for six months or $44.99 for a year. You download Plotaverse on iOS and Android.